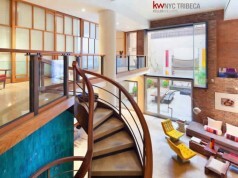 Blame it on the rise of minimalist design or the surging popularity in the color yellow, but more and more parents are shifting away from traditional colors and patterns in favor of gender neutral nurseries. In fact, Good Housekeeping reports that searches for “gender neutral nursery ideas” on Pinterest have increased by 53 percent this year. 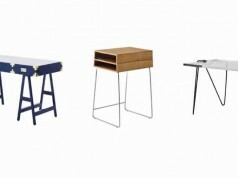 So we’ve turned to a few design experts to give us the rundown on how to pull it off. 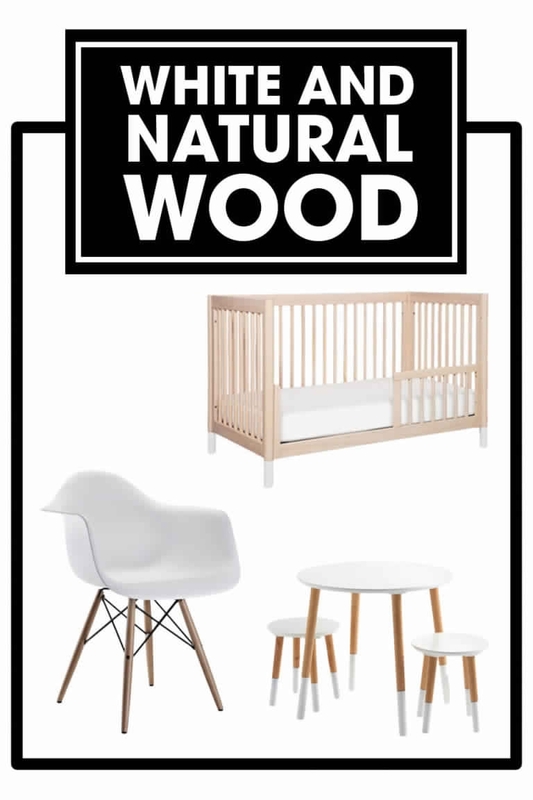 This minimalist combo that can transition from baby to big kid’s room with ease. Joy Cho of Oh Joy! suggests you start with a base of wood and white for the crib and dresser, and add pops of color with accessories to your taste. 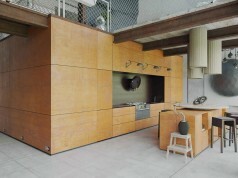 Plus, if you’re planning on having more kids, you can switch out accent pieces to suit their personality. 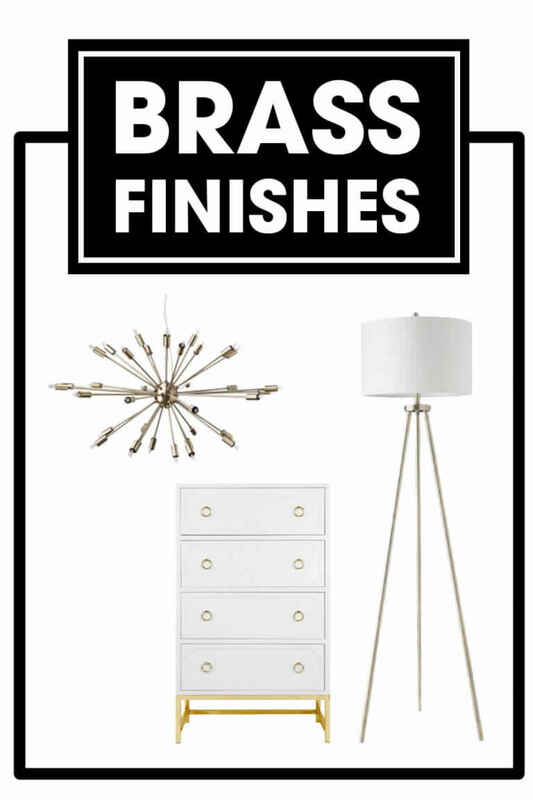 Opt for brass light fixtures and your future will be bright. 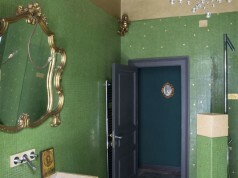 According to Sacha Leclair of Leclair Decor, brass finishes straddle the line between masculine and feminine. Knobs on a nightstand like the one pictured below contribute to a sense of cohesion. 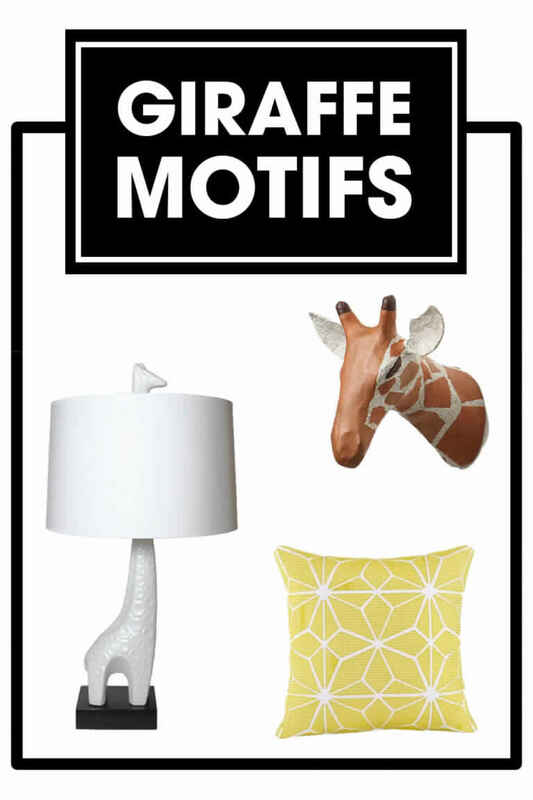 An unexpected animal motif – like giraffe – adds a graceful, exotic element that your little one will love. Designer Laura Krey hangs prints of animals in salon style to create a focal point in a nursery, sort of like a kiddie version of a gallery wall, if you will. For a subtle nod to the theme, look no further than Jonathan Adler for sleek white animal sculptures. A classic black and white color combo is tried and true – and as designer Regan Baker of RBD Design points out, babies can only see in black and white for the first few months of their lives anyway, making it a natural choice. To create a youthful vibe, opt for patterned pieces. 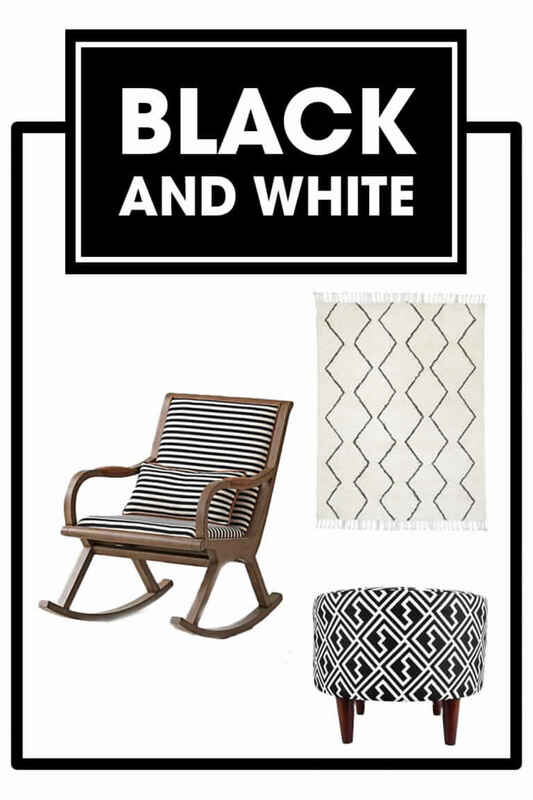 Chevron,wide stripes, and geometric prints in black and white, which bring the fun to an otherwise stark palette. 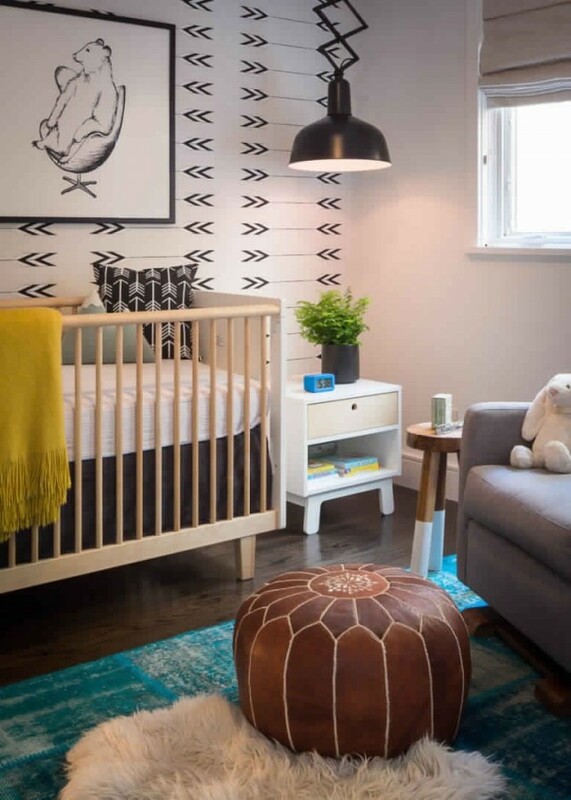 Designer Anne Hepfer suggests restricting the pattern to one wall to stimulate the baby’s attention without overwhelming the room. 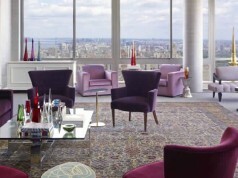 Nate Berkus recommends choosing textures in soft gray shades, which sets the tone for a soothing room. 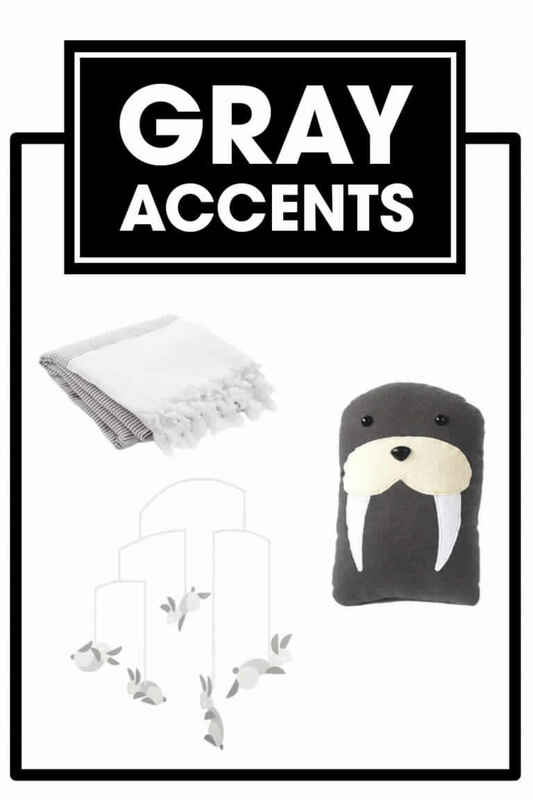 Gray details, like a cotton Turkish towel, sweet stuffed animal, and modern mobile, make for a comforting nursery. Too serene for your taste? Yellow and mint green up the fun in a playful nursery, while beige, taupe, and navy blue pack a punch.